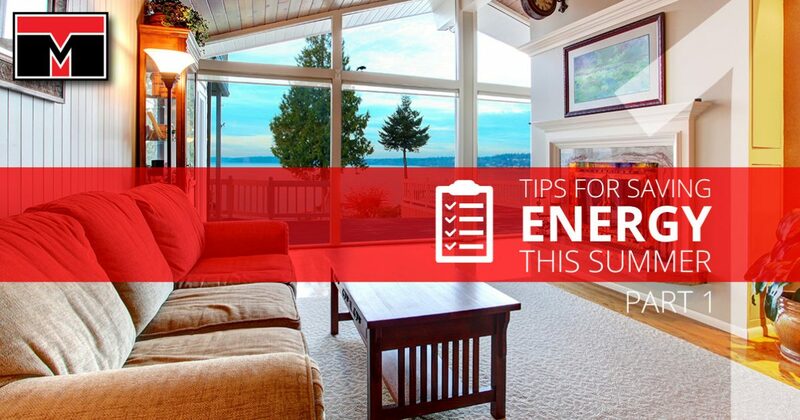 Want to avoid high energy bills this summer? #1. Keep your air conditioner in good shape. One of the best things you can do for your energy bills — and your air conditioner — is to keep your unit in good working condition. The more efficient your system is, the more energy you’ll save. Whether your air conditioner is due for regular maintenance or it is in need of a repair, get the air conditioning service you need promptly so that your unit won’t have to work harder than it has to to keep your home at a comfortable temperature. Whatever you do, don’t turn the oven on or cook on the stove when it’s hot out. You’ll only give your air conditioner even more heat to contend with if you cook inside in the oven or on the stove. Luckily, the summer is the perfect time to sharpen your grilling skills, and it’s also an ideal time of the year for cold dishes as well, such as sandwiches and salads. If you must cook indoors, it’s best to do so at night, when it is a bit cooler out. #3. Close the shades and the blinds during the day. The sunshine is truly a beautiful thing, but it can also make our homes much hotter, which, in turn, makes our air conditioners have to work harder to keep up. Taking a minute to shut the blinds and close the shades will make your home much more comfortable, and the best part is that this energy-saving step won’t take any extra effort on your part, and it’s absolutely free! #4. Replace your light bulbs with LEDs. Incandescent light bulbs used to be the most popular option, but today, you have much better light bulbs available, at least where efficiency is concerned. Replacing your old, incandescent light bulbs with LEDs will reduce the number of times you need to change your bulbs and help you save energy. LEDs are more energy efficient, and they generate much less heat, so when you use them in lieu of incandescent lights, your air conditioner won’t have to work as hard. These are just a few of the many steps you can take to start saving more energy this summer. Would you like to learn about more summer-energy-saving tips? If so, please be sure to stay tuned for our next blog. Do you need air conditioning repair, replacement or some other HVAC service? Schedule your free, in-home estimate today.